Fredericton Volkswagen is looking for a Licensed Automotive Service Technician. have a positive attitude, and be excited to join our team. 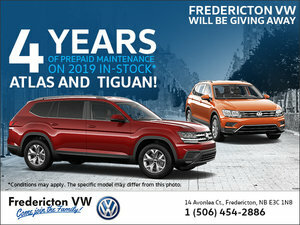 Please send your resume to adam@frederictonvw.com, or drop off directly at the store.